If you have any interest in DIY, canal boats, survival techniques, camping or sustainable living, there’s an exhibition just for you. Artist Anna Chrystal Stephens has for many years, as part of collective Vulpes Vulpes, explored societies’ changing relationship with the natural environment. Stephens’ fixation with DIY manuals and knowledge-sharing means she has acquired a fair amount of expertise in how to exist off the grid. She lives on a canal boat, and even organises talks and workshops on survival skills. 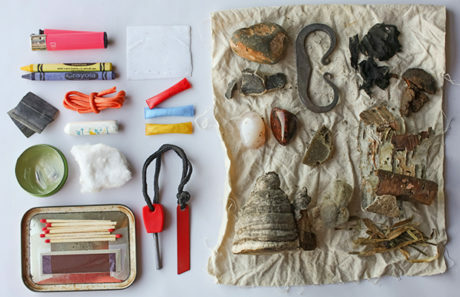 Stephens is now bringing this knowledge to the people of Hackney, in the form of sculpture and photography, through her first solo show, Anorak, which opens at Space gallery on Mare Street on 17 January. According to Space, the exhibition is an “examination of the tension between survival and leisure as illustrated through popular holiday activities such as camping and canal boating”. In the middle of the room, visitors will find a huge tent-like structure, a hood that can be used to protect a canal boat from the elements and provide extra living space. Stephens created the piece, called Stern Hood, with the help of a professional narrow boat hood-maker – an example of her commitment to skill-sharing and collaboration. 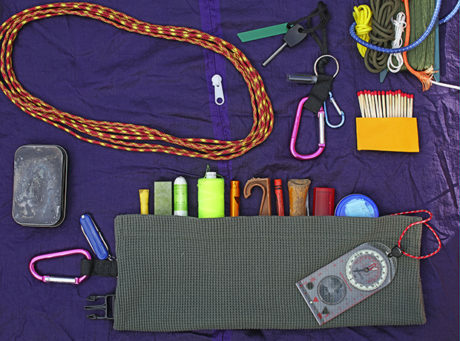 Pinned to a wall is Utility Cloak, a giant cape decorated with a litany of pockets filled with camping equipment, books, fire-starting tools and fantasy survival gadgets. 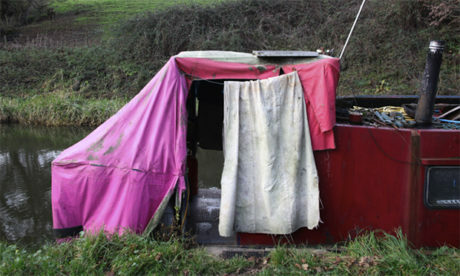 Another wall features photographs which capture many types of canal boat covers, ranging from the makeshift to the highly technical. Space says the photographs “bring canal and DIY living into the gallery and speak to the tension between the basic necessity of staying dry and warm and the human desire to decorate and domesticate nature”. Extending Stephens’ philosophy beyond the gallery is an interactive panel on the façade of the building instructing passers-by on how to tie various knots. Anorak is open from 17 January until 23 March, and entry is free. It will be the last major exhibition at Space’s gallery on Mare Street before it ups sticks to Ilford this summer.